Saving is a good habit as it enables you to put aside a part of your income for the rainy day, which could make things a lot easier at that time. The best way to secure your savings is to open a savings account with a bank because this account not only enables the depositor to make debits and deposits freely but also fetched them periodic interest on these deposits. The bank computes and credits the interest on a quarterly basis, with conditions such as minimum account balance applying for the interest to be accrued on the savings account. There are several types of savings accounts made available by the banks, depending upon the requirements of the customers. These include regular savings accounts, salary based savings accounts, zero balance savings accounts, special benefits savings accounts for women, savings accounts for children and minors and savings accounts for senior citizens. Depending upon their circumstances and needs, customers can pick the one which suits them the best. 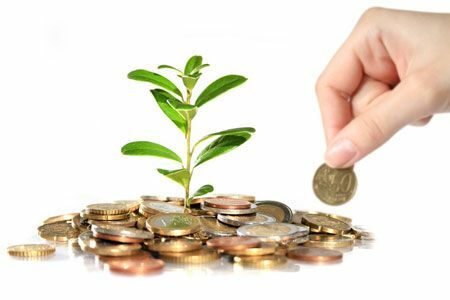 Over the last few decades, the popularity as well as benefits of a savings account as a mode of saving money, has increased in India, being of great help to millions of people to save money as well as earn interest on the same. The interest rate offered by banks on savings accounts had been deregulated by Reserve Bank of India in October 2011, with the aim to encourage higher interest rates for the depositors as it was expected that competitive rates would be offered by various banks to entice the customers. However, most of the banks have continued to give only 4% as the interest on savings accounts, with only a few of them going higher on the interest rates. Customers need to be aware of these banks and their savings schemes to make the best with their investments and deposits. YES Bank offers an interest rate of 6% on savings deposits below Rs 1 Crore while the rate goes up to 6.25% for the deposits which exceed the amount of Rs 1 Crore, making it one of the most preferred options for opening a savings bank account in India. 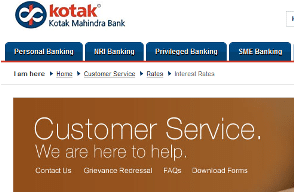 Another Indian bank which offers an excellent return on savings is Kotak Mahindra. Here, customers can make 5% interest on deposits up to Rs 1 lakh and that of 6% on savings more than Rs 1 lakh to 1 crore. The bank offers 5.5% interest rates for the amount above one crore. Next is IndusInd Bank, where savings account up to Rs 10 lakh draws 4% interest, that from Rs 10 lakhs to 1 crore gets 5% interest, for 1 to 10 crores 6.00% interest rate and over Rs 10 crores, the interest figure touches 6%. RBL Bank is another high interest paying the bank in India, where savings account up to Ra 1 lakh is paid interest at the rate of 5.50%, which increases to 6.00% for accounts with balance Rs 1-10 lakh and 6.50% for those exceeding Rs 10 lakh to 3 crores. The interest rate is 7% form amount above 3 crores. At Lakshmi Vilas Bank, an interest rate Up to Rs.1 Lakh is 4%, Above Rs.1 Lakh and Up to 5 Lakhs 5.25%, Above Rs.5 Lakhs and less than Rs 10 Crores 6.25% and Balance Rs. 10 Crores and above 6.50%. At Bandhan Bank, savings account up to Rs 1 lakh gets 4.00% interest while that which goes beyond Rs 1 lakh to 10 crores draws the interest of 6% and 6.55% interest for deposit amount 10-50 crores and 7.00% for the amount above 50 crores. FirstRand brings an interest rate of 4 % on savings deposits up to Rs 1 lakh, while it rises handsomely to 7.25 % on accounts exceeding a savings deposit of 1 lakh. All other banks in India offer an interest rate of 3.5-4% on savings bank accounts.